New shift patterns at Thoresby (Nottinghamshire) beginning Oct/Nov 2005 to increase machine utilisation time by extending the length of the existing 3 shifts and the introduction of a twilight shift to carry out maintenance work. Welbeck was back in the news again when a new shift pattern was arranged and one shift of 80 men was made redundant or transferred to Thoresby !!! The new shift pattern reverting back to 3 shifts starting at 6am for 8 hours, overlapping 12.30pm afternoon shift and a 7pm start for the third, but no Friday night shift, there being two 12 hour weekend shifts. By all accounts the Geordie lads from the closed Ellington colliery (Northumberland) who had moved to Welbeck were doing the weekend shifts, then travelling back home as they had not yet moved house. A further Manager, Jim Daykin replaced Glen Britton but he was replaced by Keith Williams who only lasted 2 months before being replaced by Derek Main, the fourth Manager in 14 months. Not good for relations or continuity. Harworth (North Nottinghamshire) grasped a lease of life at the beginning of March 2006, but at a price again new shift patterns. Day shift finishing around 2.30pm, Afternoon shift after 11.30pm and Night shift finishing at 8.30am and 70 jobs to be phased out over the next 7 months, to save the remaining 230 jobs. Development restarted of a further Deep Soft face 32s to go ahead to mine 1.4m tonnes to be ready before 30s panel finishes. A MD1100 machine cutting out the loader gate and a JCM11 in the tail gate drivage with targets of 65m per week in both. All pits were to be given more purchasing power in the Group restructuring, the biggest since the pits were privatised some 11 years before. However as stated previously HQ staff to be reduced to half by offering 80 redundancies. With only a handful of pits (similar to a Sub-Area or Group of days gone by) how can such numbers be tolerated and of course what did everyone do? Nigel Yaxley (Marketing Manager) left the Co, David Betts (an ex Manager at Thoresby, Nottinghamshire) was appointed Head of Technical Services, Bill Tinsley (ex Manager at Kellingley, Yorkshire) appointed Production Director for both deep mines and surface opencast mines. 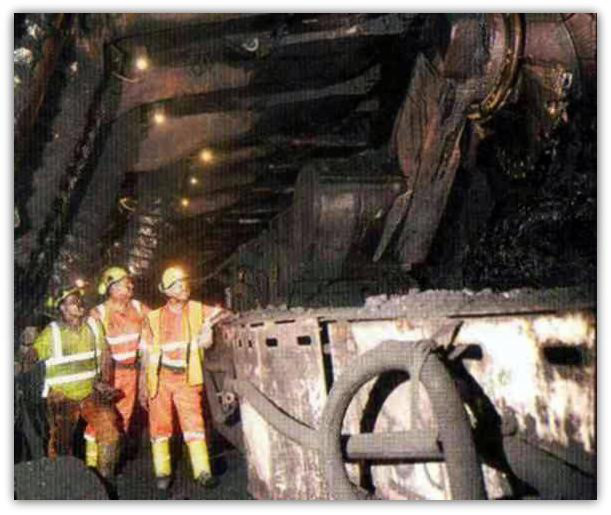 Kellingley (Yorkshire) by the way had the longest ever mechanised coal face in the UK, 307s face at 349 metres long, supported by 2 x 575 Shield supports, each weighing 18.9 tonnes and the coal cut by Joy 7LS ranging drum shearer machine, extracting 2.35m of Silkstone seam. Output 0.9m in 2004 and 2.0m in 2005. 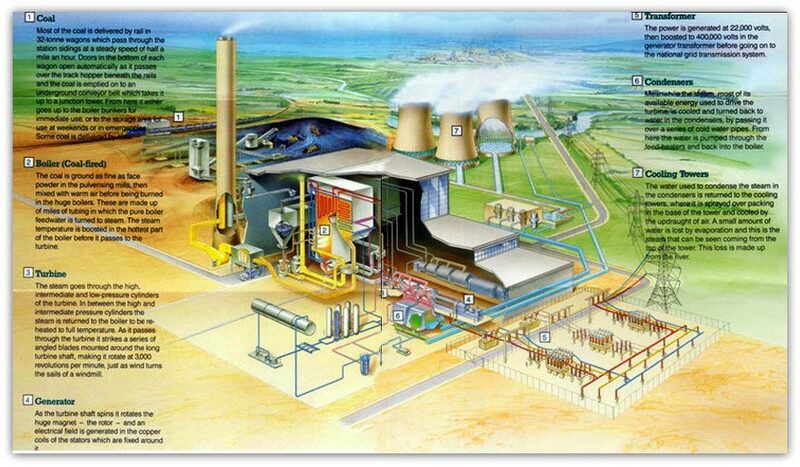 The diagram shows a cut-away view of a power station and explains simply how electricity is generated. Trade and Industry Secretary Alan Johnson MP (Lab) talked of a ‘renaissance’ for coal and it was revealed that UK Coal made a profit in the last quarter of 2005, as the new Chief Executive Gerry Spindler had predicted. However some parcels of property had been sold in that period! 50% of the energy produced from power stations over the winter was from coal, but of course the biggest problem with burning coal is that it is environmentally unfriendly, producing twice as much carbon dioxide as gas does. Companies such as Drax, Europe’s biggest coal-fired generator are throwing vegetation into the furnaces at the power station to reduce emissions. There are 19 coal-fired power stations in the UK and coal being imported at record high levels from foreign countries at a higher price per tonne than indigenous coal and road and rail transport and dock facilities are unsustainable at breaking point. Danger still lurks even with all the piles and piles of safety legislation. 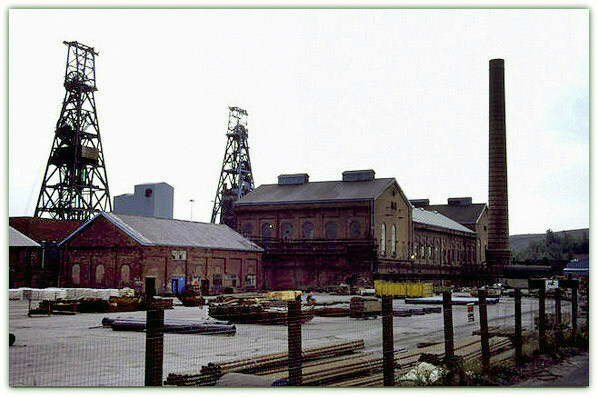 An almost disastrous shaft incident happened at Maltby colliery in South Yorkshire on 3rd March 2006. It would appear that in a shaft with one cage of 3 decks and a counter balance the cage possibly struck a landing frame at the Swallow Wood inset part way down the shaft. Fortunately the 18 men going to the Parkgate seam workings were riding on the top deck as the bottom deck was somewhat mangled, but even so they were stuck in the shaft and I would imagine they were terrified not knowing their fate. They were released after about 2 hours having been in a sub-zero temperature and received medical treatment, 3 of them being hospitalised. Coal production ceased for at least a week whilst repairs were carried out, for the pit was then limited to only 25 men being allowed underground by the Mines Inspector as there was only one egress now from the pit at the other shaft. The neighbouring mine Rossington closed (South Yorkshire) in March 2006 and was put on care and maintenance. Output there was 1.4m tonnes in 2004 and 1.1m in 2005. From 6th April 2006 the Control of Noise at Work Regulations 2005 came into force. Previously at the first action level a personal noise exposure of 85dB (decibels) was per mitted but now that had reduced to 80dB. Employers were to tell the workers they were entitled to ear defenders and provide them if requested. At the second action level previously 90dB, this was to fall to 85db. Employers to mark ear protection zones, provide ear protectors to all those exposed and ensure they are used. April / May 2006, Harworth (North Nottinghamshire) in trouble once more due to a swilley running some 50m along 30s Deep Soft face and steepening towards the main gate end. Production was hampered by this feature and production began to suffer with weekly output down to around 16,000 tonnes per week from the 2.2m high, 320m long face instead of the 32,000 tonnes per week, already benefiting from the use of fast setting polyurethane resin injected around 7m into the strata. It would appear to me that if things did not improve the pit would be closed. It is impossible to keep paying the miners the rate they are earning and not producing the coal. Daw Mill (Warwickshire) produced 1 million tonnes in 16 weeks from a single face 322 yards (295m) long in the Thick Coal seam, extracting 5m at one go with a metre thick cut. Miners completed 518 strips in that period, almost 100 miles, with each strip producing 1,930 tonnes. Each cut was more than what some of the mines in the 19th and early 20th Centuries produced in a lifetime by pick and shovel method! The previous record was 20 weeks for 1 million tonnes when over 3m tonnes was produced in the year by 600 men. The year ending Dec 2008 would see the record smashed again to 3.2m tones app all from one face, 302s. The total cut on the 300m long face was 1,600 strips equivalent to 320 miles. In 2006 the sale price was £1.62 a gigajoule whereas the output in 2008 realised up to £1.92 a gigajoule. Thoresby (Nottinghamshire) the big hitter of the past and probably the most continual productive and profitable colliery ever, over its life since 1928 lost money for the last 4 years. 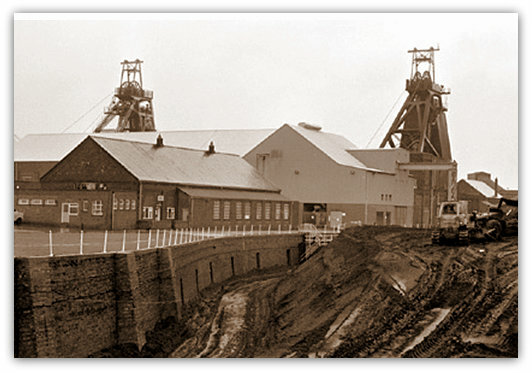 Entry into the area of coal left at Ollerton when that closed in 1994 had proved more difficult to mine than ever experienced at Thoresby before. Ollerton although a very profitable pit, was always looked upon as the ‘poor relation’ when compared with Thoresby. However a development drivage to open up new 45s face in that area using roof bolting techniques, a system unknown to me when I was Surveyor at Ollerton, has proved on one occasion that 152 yards (139m) can be achieved in a week, with an average of 120m needed to have the next production face ready, using an ABM20 machine cutting out a profile 4.9m wide x 3.4m high supported by 13 bolts per setting. Members of the UDM and NUM ignored the advice of their national officials and accepted a three-year pay deal which gives inflation-linked pay increases, improvements in overtime rates and other benefits including enhanced redundancy terms. Arrears dating back to January 2006 on basic rates and overtime of around £150 were paid in May. 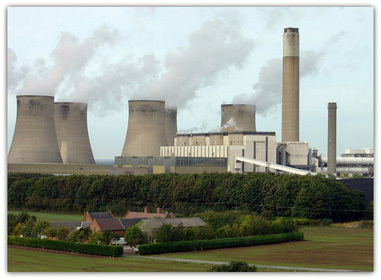 In May 2006 it was stated by UK Coal that unless new supply and price arrangements were made with the power generators to give funding investments for opening up new coal reserves and also maintaining the deep mines industry it was possible that 1,500 jobs would be lost by the closure of Harworth, Thoresby and Welbeck in Nottinghamshire and Rossington and Kellingley in Yorkshire. 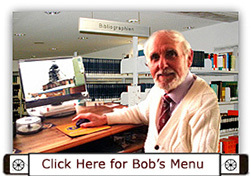 Mick Stevens left his post as UDM’s National vice-President but remained as General Secretary for Nottinghamshire. His post as vice President was taken over by Jeff Wood who beat Dave McGary in a ballot by a close margin.